The 2016 Summer Olympics in Rio de Janeiro are just one month away, and as anticipation for the games builds, so does excitement for the Opening Ceremony. What’s the theme? How will Brazil ever top the spectacle of the Beijing and London games? 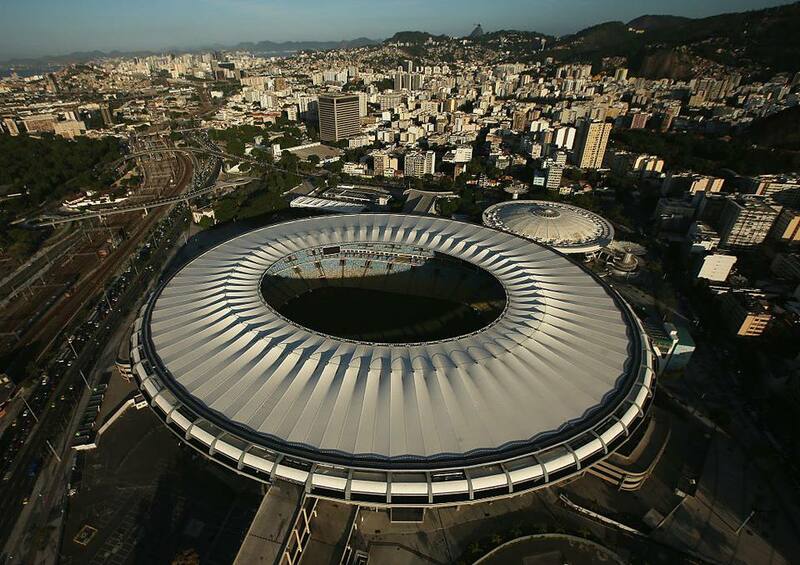 Both Opening and Closing Ceremonies will be held in the Maracanã Stadium in Rio de Janeiro. Owned by the Rio de Janeiro state government, it first opened in 1950 to host the FIFA World Cup. It has been used for major football matches, other major sporting events and large scale concerts through the years. It has been renovated a few times, most recently in a project initiated in 2010 to prepare for the 2014 World Cup and 2016 Rio Summer Olympics and Paralympics. The seating area was reconfigured, the concrete roof removed and replaced by a fiberglass tensioned membrane, and the seats were replaced. When looking at the stadium today, the colors of the Brazilian flag are highlighted in the yellow, blue and white seats as well as the green of the field. Tickets for the Opening Ceremony are still available. To purchase tickets online, residents of Brazil can go directly to the Rio 2016 Olympic Games site. Category E Tickets for Brazilian residents begin at R$200 (US $85). Those who are not residents of Brazil can purchase tickets and ticket packages from authorized ticket resellers (ATR) appointed to each country or territory. These Category A Tickets begin at R$4600 (US $1949) and can be purchased online here: ATR by country/territory. A trio of creative directors are working collaboratively to create an opening ceremony that is both memorable and meaningful. Brazilian film directors Fernando Meirelles (City of God, The Constant Gardener), producer Daniela Thomas (who co-directed the handover to Rio from London 2012) and Andrucha Waddington (many films going back to the 1970s) have committed themselves to creating a memorable ceremony at about one-tenth the budget of recent games. Despite the smaller budget, the creative team still feels the show will be incredible. Rather than focus on high tech special effects, drones and disappearing stages, the creators have chosen to emphasize the rich cultural history of Rio. As mandated by the Olympic Charter, the Opening Ceremony will combine the formal ceremonial opening of the 2016 Rio Games with an artistic spectacle to showcase the host nation’s culture. The ceremony will include the usual welcoming speeches from Olympic leaders, hoisting of the flags and the always anticipated parade of athletes and their uniforms. When the worldwide audience upwards of three billion people tune in to watch the Opening Ceremony, they will discover the heart of Rio. The overall programming is a carefully guarded secret, but Leonardo Caetano, 2016 ceremonies director, assures it will be original. It will be filled with creativity, rhythm and emotion and will highlight Brazilian themes like Carnival, samba and football. The show is also likely to highlight Brazil’s rich cultural diversity. There’s also rumor that the show will include a glimpse into the creators’ collective hope for Rio’s future. To highlight the local culture, the creators are using a volunteer cast of more than 12,000 to pull off the Opening and Closing ceremonies. With a smaller budget and less reliance on technology and props, the Rio creative team also supports desired Olympic legacy. The organizers hope to leave an ongoing commitment to sustainability. It’s no secret that the ceremonies are budget busting spectacles, often in countries that could use the resources to improve health, safety and infrastructure long-term. The Rio 2016 Committee has “established a standard of commitment to ensure that sustainability becomes part of the very DNA… of the games.” When that goal is met, the local economy, environment and diversity of culture all benefit. By incorporating more people into the Opening Ceremony and relying less on props and technology, the directors will lessen the long-term environmental impact of the ceremony on Rio and the surrounding area.